I'm experiencing the same too after 40! Is the Izumio having any effect? 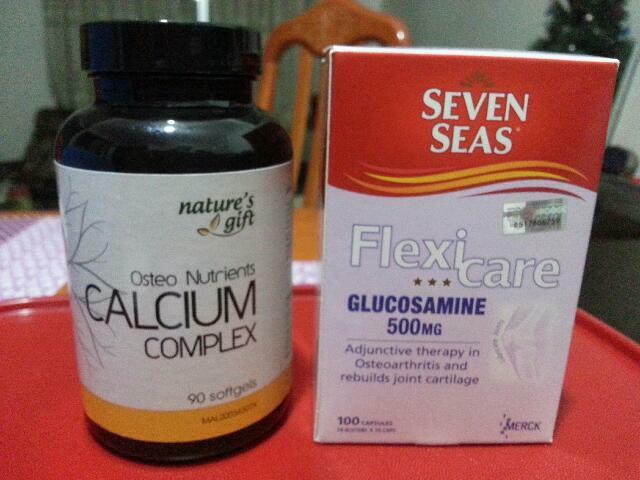 I take glucosamine for now. I wanted to take glucosamine for my knee pains but I read that glucosamine can also raise blood sugar since glucose is part of glucosamine's structure. I take fish oil 3x daily, Calcium, Super Lutein and Izumio. I only take Super Lutein and Izumio. Prior to this, I take no supps. I think I am the oldest among you lot...but thankfully no joints pain so far. I have been taking Vitamin Calcium & Multi Vitamin on regular basis over the years. I could feel some increased energy to my bones & joints the next morning after taking it. I would highly recommend anyone to take Yomeishu like daily or few times a week as the ingredients are really good. It helps to build immunity, keeps the organs warm and moisturized besides helping the respiratory areas. Each time before we went on winter trips overseas, I would drink Yomeishu nightly for 2 weeks. When the temperature dropped to zero and below, my wife who has weaker immunity could stand the extreme cold there. As for my joints that started to show signs of needle aches sometimes, I have started to punch and kick the boxing bag in the gym. I would hit or box the bag using my fist, back hand, wrists, elbow, knees, legs, ankles and etc. I would repeat many times and had good sleep that night. I could feel all the blood circulations running fast at the joints and hoped that it could get rid of wind to prevent arthritis. Just my 2 cents. Health is Wealth. I became a paranoid on prevention issues after sending my aged parents to see doctors almost weekly with long list of sickness. I paid attention on their flamboyant & active social lifestyles when younger where they lacked the correct exercise and supplements intake.